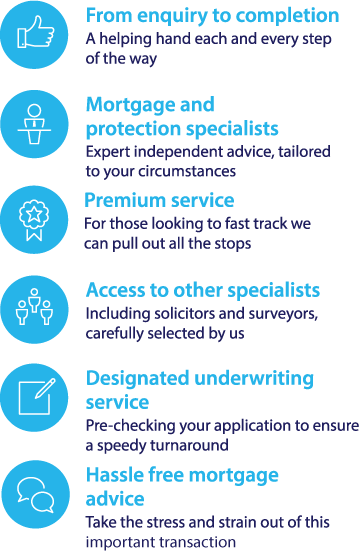 "The essence of the Fair Mortgages buy to let service is professional independent mortgage and protection advice brought to you by a team of specialist advisers and experienced administration support." As your buy to let mortgage is such an important transaction, good advice is imperative. A commercial Buy to Let mortgage could refer to a mortgage on a commercial property; this could include shop fronts, warehouses, takeaways, offices or restaurants that is designed to be let out to another business or individual. As with getting any sort of mortgage it is a good idea to shop around different providers to try and get the best buy to let mortgage deal for the type of commercial property you wish to purchase. Not all lenders who offer commercial buy to let products will lend on all commercial properties, so you will need to find one which does. If you are unfamiliar with buy to let or investment mortgages, you will find there are a few key differences from residential mortgages. Commonly residential mortgage lenders calculate a prospective borrower’s affordability upon their income and outgoings. This is not usually the case with buy to let properties however, instead they tend to base affordability on the actual rental value of the property, often requiring the estimated monthly rental yield of the property to be at least 125% of what the monthly mortgage payments would be. With buy to let the borrower is normally required to put down a larger deposit than would be necessary with a residential mortgage of the same size. With lenders commonly requiring the borrower to put down at least 25% of the property price, however this varies and some lenders may offer buy to let mortgages with lower Loan to Values (LTV). As lenders perceive lending on a buy to let basis as being higher risk than residential lending they are usually more expensive. As such you may find that both the arrangement fees and interest rates available to you are more expensive than what you would be paying on a mortgage for a property you intended to live in yourself. Many lenders require applicants to already be existing homeowners, with or without a mortgage. Some lenders also only grant buy to let mortgages to individuals who are currently existing landlords or have previous experience in letting out property; however, there are a range of providers who do not have this requirement. Even though buy to let mortgage affordability is usually calculated upon the rental income of the property, many lenders still have minimum income requirements for their applicants. If you looking for a buy to let mortgage, you may find it helpful to enlist the services of an independent mortgage adviser, in addition to giving impartial advice, advisers that offer a whole of market service can use their professional knowledge of the industry to search across the market to try and find the best deals for their clients.